For more than half a century, Anthony Swainson’s mission in life was to find the perfect day’s fishing. His began his quest as a young boy, fishing the canals and reservoirs of his native England. As an adult, his love of fishing took him around the world, as he tried to hook the best nature could offer in spots as diverse as Australia’s Great Barrier Reef to above the shipwreck of the Lusitania. Swainson fell in love with the lakes and streams of New Zealand where he encountered giant trout – as well as eels, possums and a friend’s parrot. All is revealed in Swainson’s whimsical stories of days spent on one end of the rod, hoping for the twitch on the line that will bring another fish, and another tale to tell. 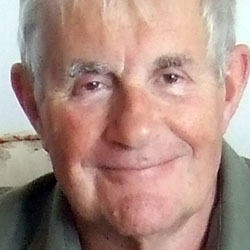 Until his death in 2013, Swainson delighted readers of international magazines for many years with his amusing accounts of trips that are as much about the people who go fishing as the fish they bring home. 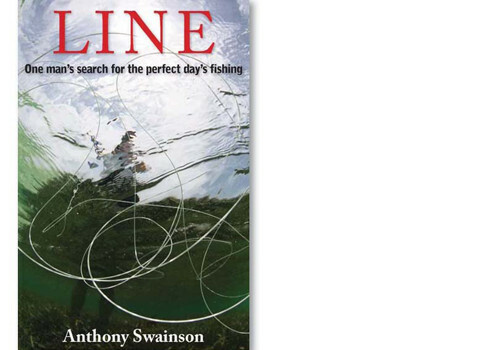 Now, Swainson’s fishing stories are available in a trilogy of books called Hook, Line and Sinker. You can also enjoy his fourth book, Landed, and a compilation of the trilogy (plus bonus chapter) in Hook, Line & Sinker. ‘Plenty of humour and wit . . . should be in every angler’s collection . . . a book to saviour and enjoy . . . a must buy . . . highly recommended.’ – Graham Carter, Fishing & Outdoors. ‘A truly great collection of fishing short stories.’ – Mark Kitteredge, NZ Fishing News. ‘Quirky . . . A relaxing read for a very reasonable price. I am sure you won’t be disappointed.’ – Brendan Coe, NZ Rod & Rifle. ‘Restores my faith in the printed word.’ – Rob Sloane, FlyLife Magazine. ‘Well written.’ – Whangarei Report. ‘Just right for some holiday reading.’ – NZ Trout Fisher. ‘Interspersed with some magical photographs of people, fish and scenery, this is a delightful book.’ – Boat Books, Auckland. Author Anthony Swainson died in 2013 but he leaves behind a legacy of stories that are available in print and digital form. Some of the stories from Swainson’s series of ebooks are published in a stylish hardback volume, Tangled Lines, which are available from Hurricane Press.